This is the first in a series of blog posts that will dive more deeply into the nuts and bolts of Data Science. Today we will talk a bit about statistics, but we will be talking tools, visualization strategies, and data representation in the context of specific problems. Let's say that you have a large database with millions of records. These records have wildly different provenance: some have been carefully curated by domain experts based on the best experimental results, and others are collected from lots and lots of unreliable experiments. The problem is that we have a lot of unreliable data, and not enough carefully curated data. For this exercise, let's assume that there is actual value in these unreliable experiments, just not a lot. This is the central challenge of Big Data in science: how do we take potentially uncontrolled data and use it in a controlled experiment? We won't be solving that entire problem today, but this is one potential strategy that can be used. When we have a database of facts of varying quality, what we need to do is find a way to assess that quality. I like to use probability: that is, the probability that a given statement is true. In principle, the probability that an assertion is true is based on its provenance: what's the justification for that fact? Did someone we trust say it? Was a particular experimental method used to determine it? Here are a couple of simple (hence stupid) tricks that we can do with z-scores that can help us gain the insight we need into large, unreliable datasets. We can use reasoning strategies to infer the probability that an assertion is true. 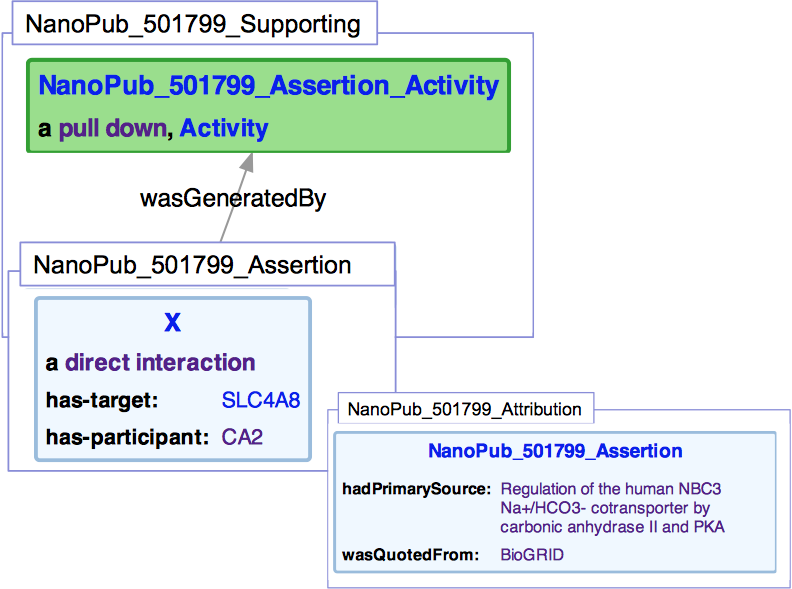 For instance, I have used the Nanopublication framework with PROV-based provenance to say that "the proteins SLC4A8 is the target of CA2 in a direct interaction that was determined using a pull down experiment. Further, this was pulled from BioGRID and was published in the article "Regulation of the human NBC3 Na+/HCO3- cotransporter by carbonic anhydrase II and PKA". Where did we get the probability of 0.97 from? We made it up, based on our intuitions of what confidence scores of 0, 0.5, 1, 2, and 3 might be. I'm interpreting these scores as meaning "no evidence", "little evidence", "some evidence", "good evidence", and "great evidence" respectively. As it turns out, we can look to z-scores to formalize our intuitions. Z-scores are a way of "stretching out" probabilities as they approach zero and one. Below is the Cumulative Distribution Function (CDF) that shows the relationship between z-scores and probabilities, when data is normalized with a mean of 0 and a standard deviation of 1. Z-scores are also used to normalize differential gene expression data, and the transformation to probability can be interpreted as the probability that a gene is expressed in a given diseased sample but not in a normal sample. This can be a good intuitive guide for confidence, since it's easier to think about these sorts of integers than trying to figure out how many 9's to tack on the end of a probability, while also providing a symmetric measure for how unlikely something is, which is essentially negation. So using the intuitions laid out above, we can tell that if six experiments that show little evidence all agree, then the probability of error has been reduced, which means that it has the same composite probability as an experiment with great evidence. Additionally, if an experiment produces a negative result, it reduces the overall probability of an assertion being true. This models the heuristic that "extraordinary claims require extraordinary evidence". 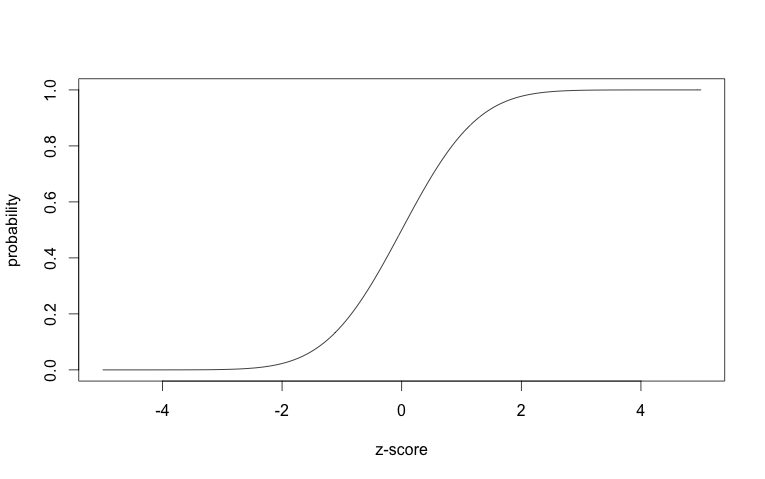 Finally, bare assertions with no evidence have no effect on the overall probability, since the z-score is zero. These techniques allow us to adjust the confidence scores as-needed when we learn more about the kinds of evidence that have been gained. It also means that we can take advantage of weak and contradictory evidence in large heterogeneous datasets aggregated from many sources. 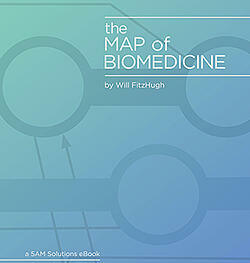 I will be presenting these techniques today in a poster at the Conference on Semantics and Healthcare and Life Sciences. Please stop by if you have any questions.